For those who may not know, "The Munsters" was a popular sitcom that spoofed classic Hollywood movie monsters. 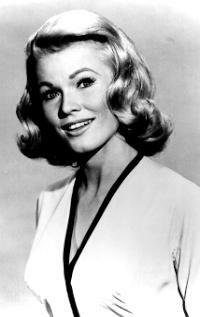 Beverley Owen may have been the "first" Marilyn Munster, but in my opinion, Pat Priest is the "real" Marilyn Munster. Good "straight man" characters are hard to find in TV or film, and good "straight woman" characters are even harder to come by. The running gag of the series is that Marilyn was the only human in a family of monsters. To top it off, she was a very pretty blonde. The other Munsters were creepy-looking, but thought they were normal. Marilyn, on the other hand, was the "ugly duckling" of the family. The other Munsters thought that Marilyn's looks scared off her boyfriends, when it was really them of which they were afraid. Marilyn (Pat Priest) is really a knock-out, but seems to take her "unattractiveness" and everything about her family so matter-of-fact. She's very nice and knows what's right and this makes the rest of her family members even funnier! When you're watching the Munsters shows, you can even tell that Pat is having a good time playing Marilyn Munster. It was an extremely clever idea for the creators of the show to have one normal member in a family of monsters. Ms. Priest is a lot truer to her character than her predecessor or successors. Plus, she has a very pretty-sounding voice.